The 2018 BMW S 1000 RR is essentially a street-legal race bike. Everything about this bike is extreme and not for the faint of heart, including the styling. The striking asymmetrical headlights that are the trademark of the BMW S 1000 RR are prominent on the 2018 model year version of this bike. The BMW S 1000 RR features cutaway body panels that expose a great deal of the powerful engine. To make things more extreme, carbon body panels are available. These race-inspired panels save weight over the standard bodywork. The standard 17-inch wheels look great and give the bike an aggressive stance to go with its aggressive bodywork. Come into our BMW motorcycle dealership in the Barrington area today. Take a look at the BMW S 1000 RR and prepare to be blown away. High-performance sport bikes are not exactly known for their comfort, but the BMW S 1000 RR is out to change this. The standard ergonomic seats are designed to accommodate a sporty, yet comfortable riding position. The BMW S 1000 RR is designed to carry up to 2 adults, which differentiates it from competing motorcycles that can only carry 1 person. The standard pillion cover protects the passenger’s seating area when it is not in use. The BMW S 1000 RR even has optional heated grips, which can really come in handy when it gets cold in Barrington. This is a feature more commonly seen in touring bikes, and the option to specify the heating system shows that BMW is committed to offering a high level of comfort on all of their bikes, even race-inspired models like the 2018 S 1000 RR. Learn more about the ergonomic and comfortable BMW S 1000 RR. Stop by the Cycle Werks in Barrington motorcycle dealer today. BMW is known for being a leader in automotive safety, and the company’s commitment to safety shows in their motorcycles, as well. Even in this day and age, many high-performance motorcycles have to make do with little to no safety technology. In contrast, the BMW S 1000 RR is well-equipped with advanced rider protection features. The 2018 S 1000 RR includes a standard ABS system that greatly enhances braking performance. The large 4-piston front brake calipers are also integral to the BMW S 1000 RR’s quick and controllable braking. This motorcycle offers 5 different riding modes for safety in different conditions: Rain, Sport, Track, Slick (racing tires) and the customizable User Mode. The Dynamic Traction Control and Dynamic Damping Control offer settings for each riding mode to give the rider the greatest possible control over the BMW S 1000 RR’s handling dynamics. Get all the info on the cutting-edge safety features of the BMW S 1000 RR. If you’re looking for a BMW motorcycle, Barrington’s Cycle Werks is the premier destination in the area. Meet with our friendly and knowledgeable associates today. The BMW S 1000 RR has been known for its astonishing performance since its introduction, and the 2018 model year builds on previous models to offer a race bike-like experience. The 999cc 4-cylinder engine generates a massive 199 horsepower, making it the most powerful bike in its class. The 6-speed transmission enables lightning-quick shifts to take advantage of this massive power. The unique optional Gear Shift Assist Pro feature allows both upshifts and downshifts without having to engage the clutch, which allows even faster gear changes on models that have this feature. Visit Cycle Werks in Barrington, IL today to check out the blazingly fast 2018 BMW S 1000 RR. 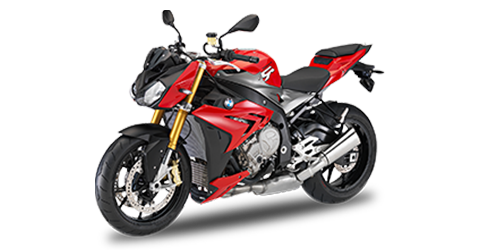 To top it all off, the 2018 BMW S 1000 RR has numerous standard technologies that competing motorcycles can’t match. The high-resolution LCD display shows vital information on the motorcycle’s performance in an easily readable format. The BMW S 1000 RR even includes a standard cruise control feature, which is a rare technology in this class of motorcycle. The cruise control technology makes riding long distances on the highway easy. The standard powerful onboard computer with its ergonomic menus makes it easy for riders to change the BMW S 1000 RR’s many settings in just seconds. Swing by Cycle Werks in Barrington to speak with our associates about the cutting-edge 2018 BMW S 1000 RR.